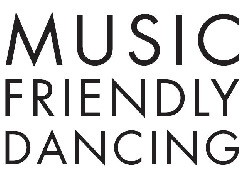 The Music.Friendly.Dancing series returns again this weekend at, um…a Chinese restaurant? Didn’t think it was possible for the Empty Bottle to go this absurd so early in the series, but this might take the dumpling. Nobunny and Cave will perform this Saturday, June 4th, 8 PM, at Hing Kee Phohung Restaurant (2140 S Archer Ave). This week’s edition is appropriately titled “Damn, Son – Dimsum!” with hopefully enough of the latter to go around. As usual, you gotta RSVP online ahead of time to get in. However, this doesn’t guarantee entry so get there early before capacity is hit. For those that want to play it safe (or aren’t over 21), Nobunny performs earlier in the day at Wicker Park’s Empty Bottle curated Do Division Fest. For those unfamiliar with the masked madness, check out these pics from last week’s Blackout Fest on qromag. Once again, a big 谢谢 to the folks at the Empty Bottle for keeping music in this city good and keeping it free.